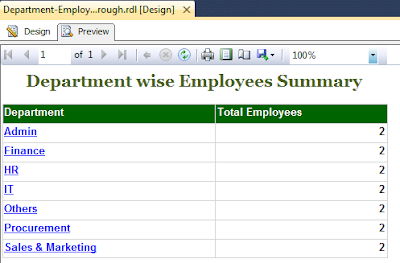 In this article, we will learn that how to call a sub report into main report. There are very easy steps which should need to follow. 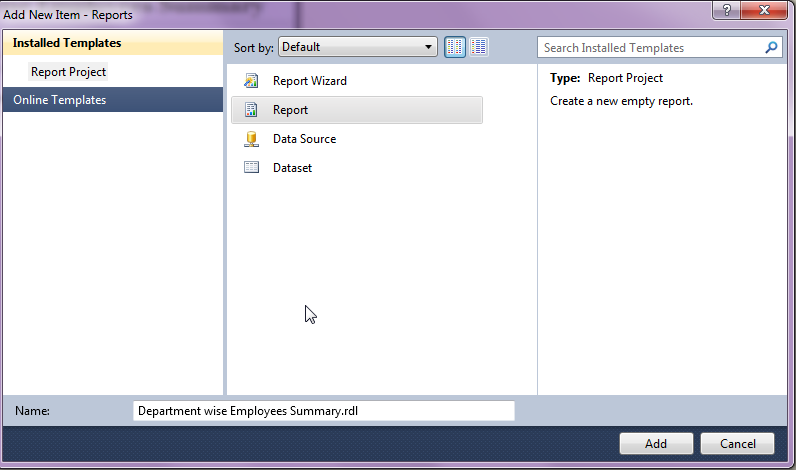 I would like to introduce a Sub-report as a simple report item which will display in inside the body of a main report. 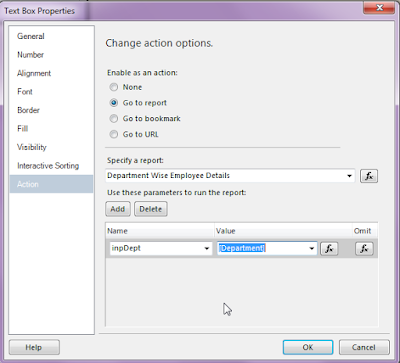 It will use as embedded Item within a report and any report can be used as a Sub-report. 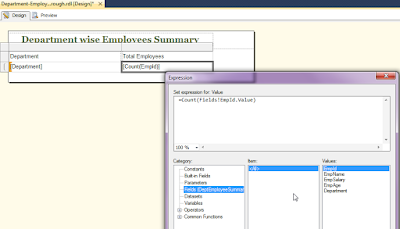 A sub report mostly takes the parameter from main report. 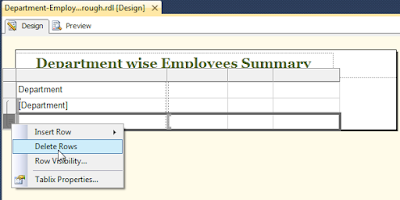 We can place a Sub-report in a data region, the Sub-report will repeat with each instance of the group or row in the data region. We can add more than one sub report into the main report. 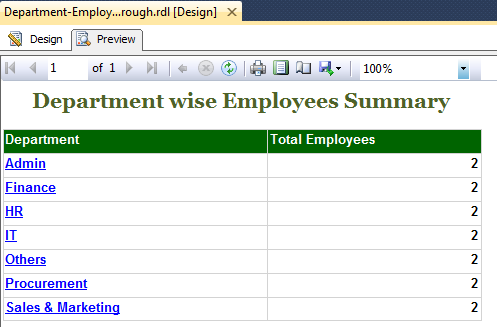 We have already created a parameterised “Employees Details Report” and you can also create that report by clicking here. We will use that report as the Sub-report in this article. 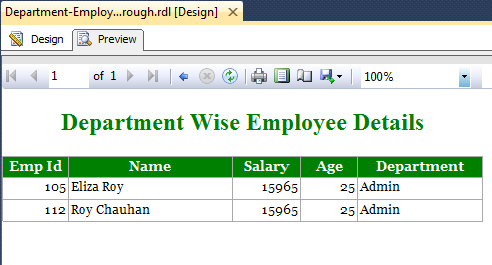 We need to display this information in our SSRS report and Report header should be like as “Department Wise Employees Summary”. In this report, we will show the department name and number of employees in the each department. 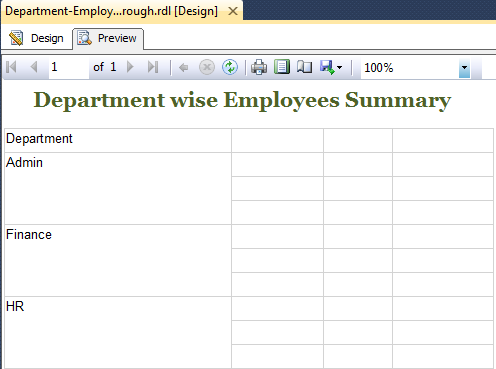 Every department will show the employees details in the data region which will be called the Subreport. 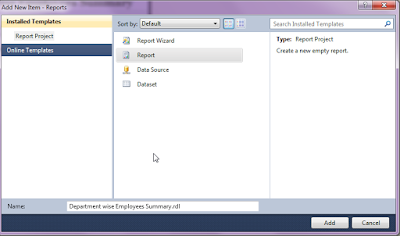 1) On the start window, All Programs list chose SQL Server Data tools from Microsoft SQL Server 2012. 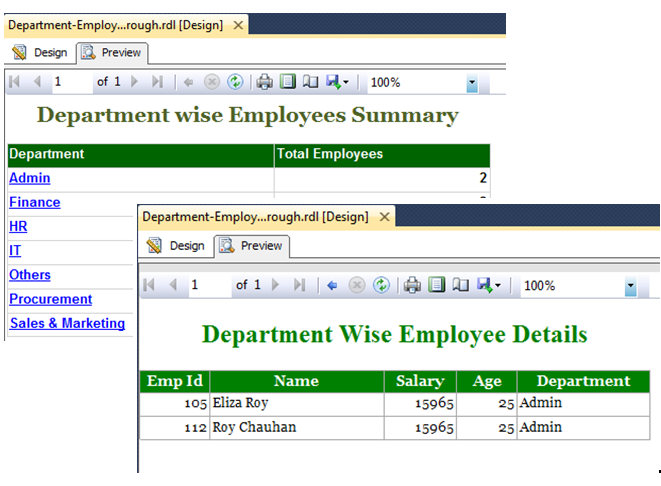 For the Drilldown report, you can click here. If you want to create the Drillthrough report then you can click here. A drill-through reports is the combination of the two reports. 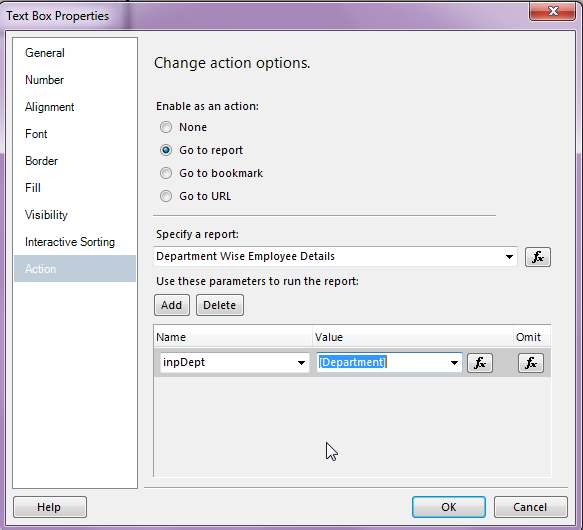 One report is known as the base or main report having link option to call another report and second report is known as the sub report in this scenario which must have the parametrized functionality because drill through reports commonly contain details about an item that is contained in an original summary (main) report. Note: A sub report can act as the main report as well as a main report can act as the sub report. These reports act as vice versa with each others. 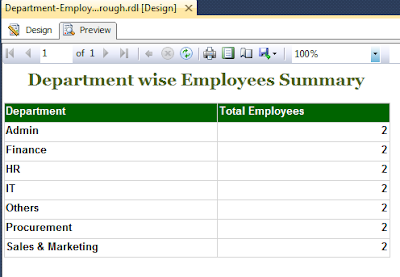 For the report, we need to add a report filter to display the data only for the selected employee department. 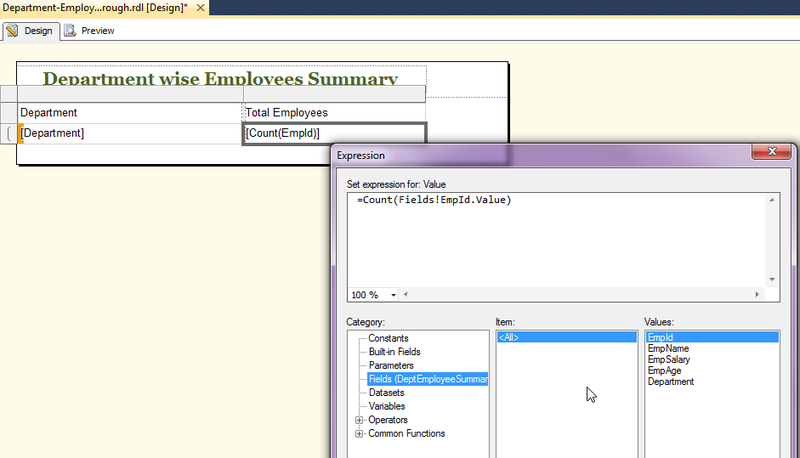 1) On the start window, from the all Programs list choose SQL Server Data tools from Microsoft SQL Server 2012. 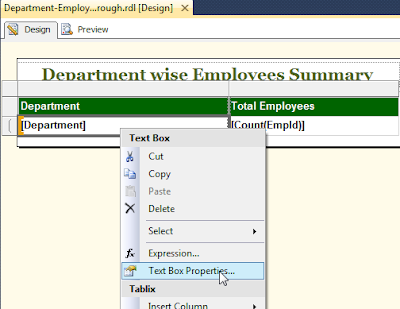 11) Window will return to Shared Data Source Properties window, Click OK Button to close the shared data source properties window. 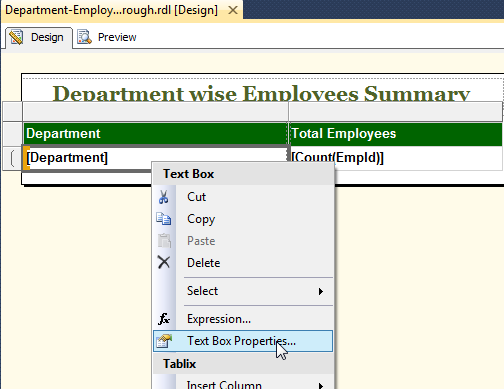 This completes the tutorial section of the simple drill-through report.